Posts So, Um. This Happened. Thank You! 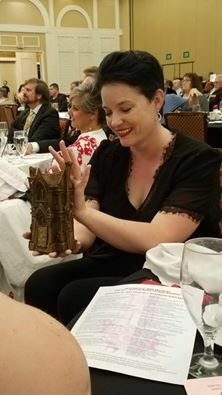 On Saturday night, I was blown away when I was awarded the beautiful Bram Stoker Award for my story Little Dead Red. Little Dead Red is probably the darkest thing I’ve written. It’s a tale about little girls, their dead-inside mothers, and the Wolves of the world. It’s a tale of love and justice. It’s a difficult read because it isn’t fantasy. It’s real. I was so genuinely honored to be nominated. I know how cliché that sounds, but it’s true. I was seated in a room with F. Paul Wilson and other authors who make me starstruck. How surprised was I, you ask? So surprised that I didn’t hear my name called. So surprised that I didn’t have a speech prepared. 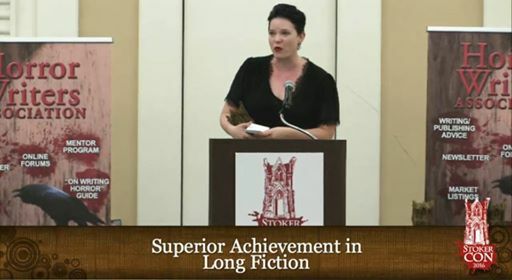 Stephen King has won this award. George R. R. Martin won this award. I didn’t expect to win this award. What a dream come true. I still can’t believe it. Thank you so much. 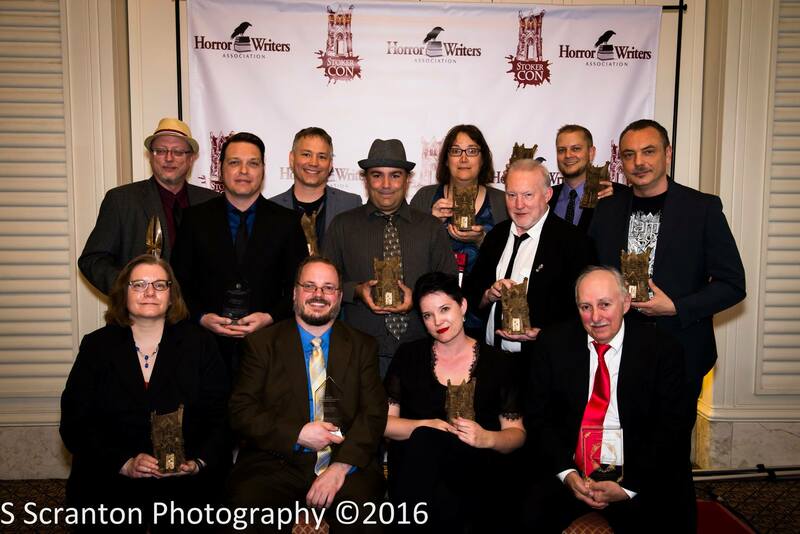 To see a list of the complete nominees and winners, please stop by the HWA blog. I am thrilled you were honored. I am not a big fan of horror but I find your writing captivating and intelligent. To me, you don’t write simply to scare the reader but you write to take the reader on a journey through the whole story. And for that, I thank you. Really happy for you, Mercedes and for Crystal Lake Publishing. Two more than worthy winners. Congratulations. Woo hoo Mercedes! I am so very, very happy for you. Your story was compelling and well written. It was a beautiful piece of writing. You deserved this award. Well done! Hugs! Couldn’t have happened to a nicer person! Congratulations! You may have been surprised to hear your name called, but to me it was inevitable. You write beautifully. Congratulations! Woo hoo, congratulations. This is awesome.